Eureka Valley, or “The Castro” as locals call it, is a quiet but vibrant neighborhood in San Francisco City. This cozy suburb is marked by its storied past, a strong sense of community, and a diverse housing stock. Bordered by Market Street, 22nd Street, Church Street, and Liberty Hill, the neighborhood is made up of small streets and hilly areas. 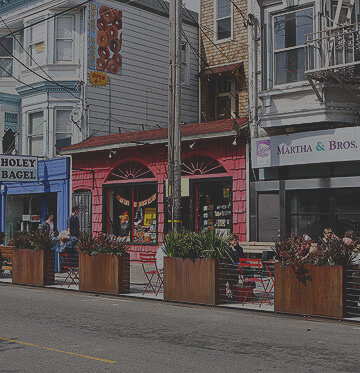 Its main thoroughfare, Castro Street, is filled with hip restaurants and bars. Eureka Valley and the rest of District 5 have just recently turned into a new luxury market. Local real estate did well before the 2008 housing crisis, and regained momentum in 2011. Low inventory and a surplus of qualified buyers make this district a competitive market. Receive the highest dollar amount for your Eureka valley listing, or receive the best guidance on how to get your offer accepted by hiring a seasoned real estate professional. Call me, Jeff Salgado, at 415-915-9916 or send me an email at jeff@jeffsalgado.com. The housing stock consists of single-family homes, multifamily homes, townhomes, and condos. 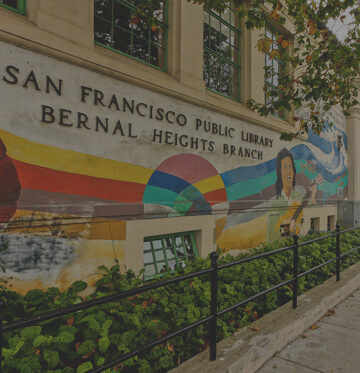 The neighborhood boasts some of the most coveted addresses in all of San Francisco City, one of which is the historic district of Liberty Hill. Victorian homes are prevalent, but architectural styles like Edwardian and Queen Anne can also be found here, along with modern masterpieces. Most homes have two to four bedrooms and one to four bathrooms. Rear decks and private gardens are common features. Hillside homes, in particular, have stunning views of downtown San Francisco, Twin Peaks, Corona Heights, and the East Bay. Luxury homes can have as many as five bedrooms. These often come with upscale features like roof decks, high end and designer finishes, private patios, and outdoor fire pits. Residents enjoy an easy commute to the rest of the Bay Area, thanks to several Muni streetcar lines and the neighborhood’s proximity to the BART. You’ll never run out of things to do in Eureka Valley – play your favorite sport, meet new people, and party the night away. The Eureka Valley Rec Center has a gym, baseball diamond, tennis court, children’s playground, and enclosed dog run. You can also choose from an array of clubs, groups, and classes to participate in. Come to Castro Street and paint the town red. It’s lined with diners, bars, and cafés. Harvey’s, named for the late politician and civil rights leader Harvey Milk, is just one of many nightspots to check out. 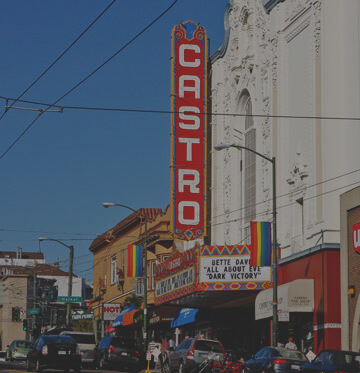 See what’s on at the Castro Theatre. Drop by for live music or a film screening. The eclectic interior is a sight to behold – a pastiche of art deco and Moorish design elements will take your breath away. Gorge yourself on flame-broiled burgers, fries, and onion rings at Sliders. Eureka Restaurant & Lounge serves classic American dishes with a Southern spin. Fried okra, seared lamb tenderloin, and pot roast are just some of the offerings. If you’re in the mood for Mexican, come to The Little Chihuahua. The restaurant only purchases ingredients from sources that practice sustainable farming. Mama Ji’s is known for serving some of the best dim sum in San Francisco City. Feast on Chongqing chicken, shrimp stuffed vegetables, and Kung Pao tofu. For more information, visit the Eureka Valley Neighborhood Association (EVNA) website.